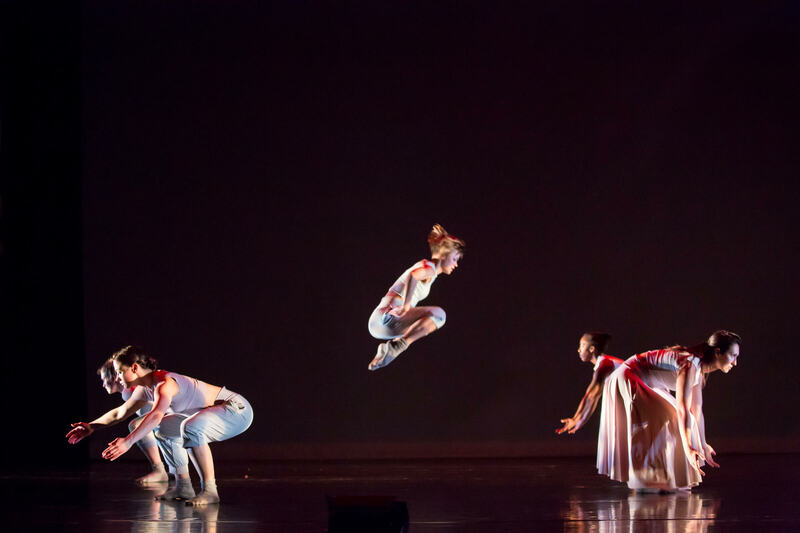 Twin Cities dance company Threads Dance Project took to The O’Shaughessy stage on November 16th, 2018, for In the Margins, an evening of dance dedicated to the experiences of those that are living in the United States of America and are marginalized in a patriarchal system. In the program notes, Karen L Charles, the Artistic/Executive Director of Threads, mentions that her inspiration for creating In the Margins began over 20 years ago. Charles was teaching dance at an Atlanta high school; 5 of the students enrolled In her class were deaf and, as she remembers it, she became “keenly aware” of how little she knew about the culture of the deaf/hard of hearing. Years passed. Charles’ interpersonal relations and life experiences continued to move her to reflect on how the deaf and hard of hearing face challenges in the United States. She started to wonder how she could make her own work more enjoyable and accessible to someone who is deaf/hard of hearing. Charles researched, began to learn ASL, and eventually decided to create a dance work that was both accessible and a form of advocacy for those that are deaf/hard of hearing. The result was the world premiere of To Hear Like Me. Charles collaborated with three individuals that were key in making To Hear Like Me more robust, meaningful, and inclusive: Canae Weiss, a deaf artist and dancer, Terryann Nash, an ASL interpreter and teacher, and Rebecca Demming, a deaf artist and activist. To Hear Like Me was also created, in part, with support from VSA Minnesota, the International Association of Blacks in Dance, Metropolitan Regional Arts Council, and the McKnight Foundation. The dance was separated into six sections, each with a different title and musical feel. Except for a duet midway through the full work, most of these sections featured groups ranging in size from 4 to 9. Charles’ movement vocabulary blended recognizable elements of classical ballet (there were several pirouette en dehors from 5th peppered in), components of classical modern techniques (I found myself transported back to Horton class at The Ailey School), and ASL. I was glad that, during Charles’ pre-curtain speech, she showed some of the signs that would be used in the show and encouraged audience members to look for them on stage. Many of the pieces of music used had lyrics. Having those lyrics interpreted and close captioned on stage inspired me to listen to them and consider their meaning more intently. 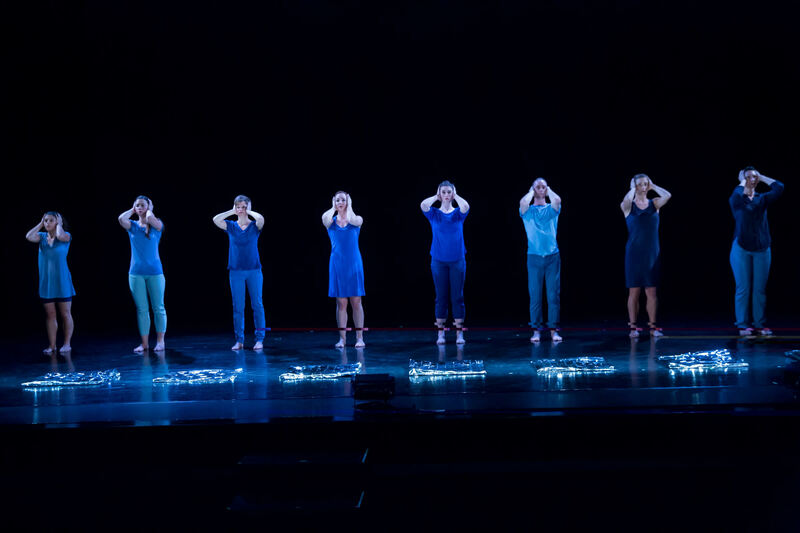 At times, the dancers’ movement included an ASL sign performed in unison at the exact same the corresponding word was sung and interpreted by Nash. Many of the musical selections caused a substantial feeling of vibration in my body. I enjoyed that sensation though, in some cases, the sound types and levels felt sharp and jarring. The movement phrases were very clearly laid out on stage and the dancers were strong technicians and confident performers. So – and perhaps in response – I was puzzled when phrases and motifs shifted in and out of unison. Were these supposed to be one-count canons? Were dancers late? 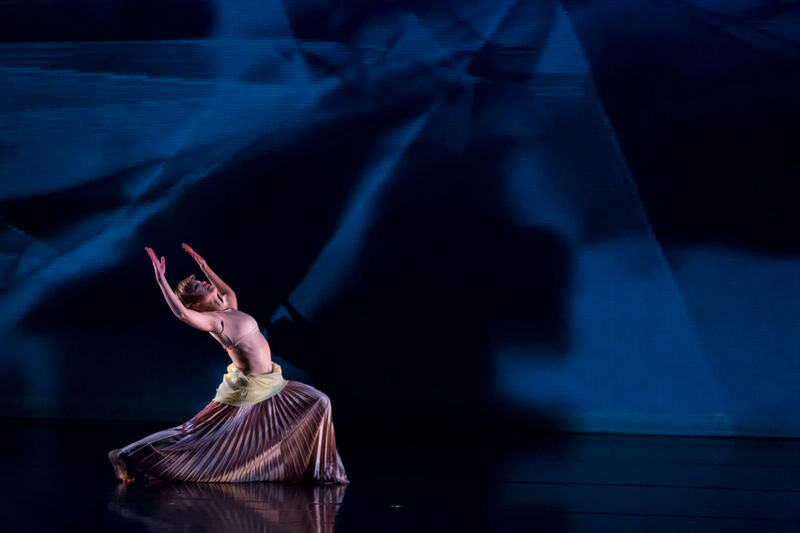 The second half of In the Margins, titled Femthology, was another series of 6 dances, this time excerpted from Threads repertory. In a post-show talk-back, Charles mentioned that she reimagined many of these excerpts in Femthology to be more accessible by incorporating ASL and music visualization. In some cases those adjustments brought about other changes, like opting for neon-colored gloves, rather than black, so that ASL signs were more visible. Unfortunately, in some cases – especially the final piece, Bootyful, the intended message really wasn’t clear, sometimes to the detriment of what I imagined as the overall goal of demonstrating the power of a marginalized group. Bootyful bounced back and forth between brief, anecdotal commentary on: (improper) ballet instruction; the objectification of the female buttocks; pelvis-centered dance movements performed facing upstage in black hoods that covered the dancers’ heads and faces and black unitards with the buttocks cut away to reveal neon blue and pink fabric below. I found Femthology generally confusing. My sense, taking into account the imagery onstage, musical selections, and program notes, was that there was a message Charles wanted to convey with this piece. Unfortunately, it was hard for me to get a handle on precisely what that was. While this was evidence that perhaps it is hard to put a bunch of excerpts together, I appreciated that most of them seemed related to the concept of female strength. Well, at least, that’s how I took it. But I also had concerns about how Femthology appeared to rely upon a false dichotomy, or at least the binary conception of gender roles in the United States. 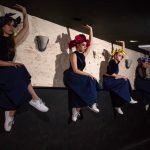 This program, however uneven, gave me an opportunity to reflect on how performance elements can include or exclude certain groups from joining in as artists and audience members. Prioritizing accessibility services is clearly the right thing to do. Furthermore, it would seem to make financial sense to provide accessibility services in a robust and meaningful way. Why not make it possible for more people to go see a show?